These 5 tips for Healthy Meal Planning and Clean Eating For a Busy Week are going to help you stay focused and organized even when you don't have time to meal prep ahead! This post is sponsored by SUNSET. Thanks for supporting the brands I love – they help keep my blog up and running! Let's talk about weekends. They are definitely when I intend to do all of my meal planning and meal prep for the week, but I often end up busy and out with friends or in need of a little downtime and to be honest, it just doesn't always get done. If clean eating and healthy meal prep is on your mind but you feel like you don't have time to plan ahead, then this post is for you! I'll show you some healthy eating and clean living hacks to help you stay on track with your health and fitness goals during the week, and you can complete most of them during your work week! As we welcome the warmer weather and spring is upon us, what better than using seasonal produce to jazz up your snacks and lunch bag? Read on for some delicious ways to repurpose leftovers, pack your lunch bag and enjoy a couple of healthy snacks while you're at it! And as if that's not enough, SUNSET is also hosting a Hello Spring Sweepstakes where you can win one of four weekly prizes and download a free spring cleaning and recipe e-book – keep reading to enter below! Snacking doesn't have to be complicated! One of my favourite snacks that is perfect for spring is a simple caprese skewer with SUNSET‘s mini heirloom tomatoes, bocconcini cheese and fresh basil. With just three ingredients, this snack idea is so easy! When all you have to do is add just a couple ingredients together, you can create something that feels like a brand new recipe. I find it especially helpful to look forward to something delicious that also doesn't require much effort; it's definitely what prevents me from snacking on other treats that maybe aren't as healthy or nutritious. With these caprese skewers, you are getting a serving of vegetables alongside the relatively healthy protein in the cheese, and the flavour combination is out of this world! When I do manage to find some time to prep ahead on the weekend, I'm focused on more than just easy lunches or breakfasts, like these delicious quinoa tomato salad jars! These high-protein superfood jars are filled with high-fibre foods that will help keep you feeling full, and they're a savory option to help eliminate those midday cravings for chips or crackers. All you need is a few mini mason jars and mostly pantry staples to make these little salads, and they'll last the whole week long so all you have to do is grab a jar on your way out the door. Mix all ingredients together in a large bowl, then divide among 6 mini mason jars. Enjoy within 5 days of making. This is another great meal prep strategy to cut down on time, and it honestly simplifies things so much because you don't even have to think about what you're going to make for breakfast; it's just there in the fridge. I've included a super easy recipe below for delicious mini egg muffins using just 5 ingredients – they are super easy to grab on your way out the door in the morning and they're filled with nutritious clean ingredients so you can start the day off right! Preheat the oven to 375 F. Mix eggs with milk, then add veggies and season with salt and pepper. Distribute mixture among one greased muffin tin tray and bake in the oven for 25 minutes. Serve and enjoy up to 5 days! This is one of my best tricks yet, and something most people don't even think to do. I know I always get a good night's sleep when I know I'm prepared for the next day, and that definitely starts with my lunch bag. It's hard to perform to the best of your abilities during your work day unless you've got some good fuel to keep you going so planning even just the night before can be super helpful. You definitely don't need to have everything ready to go at the beginning of the week to plan ahead a little bit. If I've made some egg muffins earlier on along with my quinoa salads, it's just a matter of packing some other healthy fats and proteins – this can be anything from lean deli meat, to hard-boiled eggs, chopped up veggies and hummus or the caprese skewers shown above. When I used to work full time in an office, I found that healthy snacks were basically my life line and what kept me going throughout the day. Packing everything in separate containers and having it all ready to go the night before will help you rest easy at night and get you feeling prepared and organized for the next day! I would be absolutely lost without my meal planner to keep me on track! If I have some time at the beginning of the week (even if it's on a Monday), I try and find some recipes I like and know well and schedule them in to different days of the week. Having everything laid out in front of me allows me to see where I can repurpose some of my previous meals into new meals and also see where some ingredients overlap so I can save money on groceries. I've actually got a handy little planner that you can download for free – you can write down your meals for the week and also plan out what recipes will work with certain ingredients so you don't go out and buy too many different veggies. You can also incorporate some of the snacks you've made (like the quinoa salads and caprese skewers above) with other recipes to reduce your food waste and clear out your fridge. 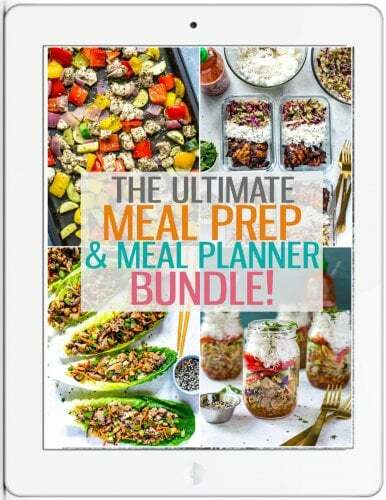 If you're looking to get more organized and plan ahead easier, download my meal planner below! 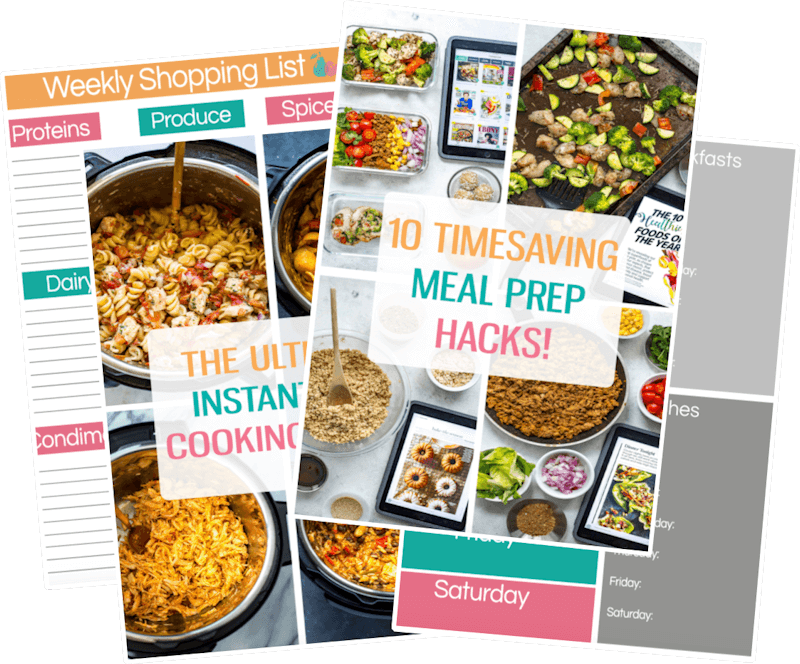 GET YOUR FREE MEAL PLANNER & SHOPPING LIST HERE! And there you have it, my clean eating and healthy living hacks! What are some of your favourite ways to plan ahead for a busy work week? I'd love to hear your strategies in the comments or on Instagram! As I mentioned above, SUNSET is hosting a Hello Spring Sweepstakes to get you in the mood for the warmer weather! Week 4: Grand Prize; Neato Botvac™ D5 Vacuum, Valued at $550! Enter the giveaway and download the clean living e-book here! Clean Living and Eating Hacks!